We welcome your comments, questions, and requests for further information. Campus addresses and telephone numbers can be located on the CAMPUSES page of the website. If you would like to obtain a copy of the current school catalog and/or application form, or you would like to be on the mailing list for school news and updates, please fill out one of the forms on this page and then click SUBMIT. 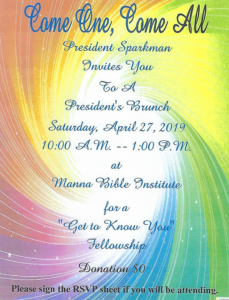 If you would like to contact Manna through this website, simply send your name, e-mail address, and telephone number (optional) along with a brief message. Click here to send a comment or question.